Friday morning “skeletal remains” were found in a shallow grave near 157 and Nickajack Rd. on Lookout Mountain. Officers from the Walker County Sheriff’s Office, GBI, TBI, and Chattanooga PD were all involved in the investigation. 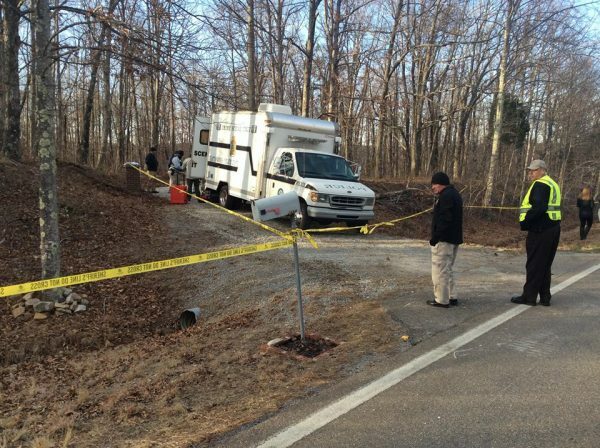 They told media the remains had been buried for four to six months and were thought to be connected to a Tennessee missing person’s case. It’s unclear how the remains were discovered, although it’s been suggested an informant tipped Tennessee officers of the body and its location – which would also explain how they knew it was tied to a particular case long before the remains could be removed or identified. Few details on the investigation – what officers suspect and what they actually know – have been released publicly, which is standard operating procedure this early into such a case. We’ll all know way more about this than we want to know soon enough. An accident on GA 136 near the Walker/Gordon line Thursday has been blamed on drowsiness. Driver fell asleep at the wheel. The Jeep was totaled, and the driver suffered injuries including (per family) a collapsed lung. No updates on his condition since Thursday. The victim from another accident weeks ago is on the road to recovery. 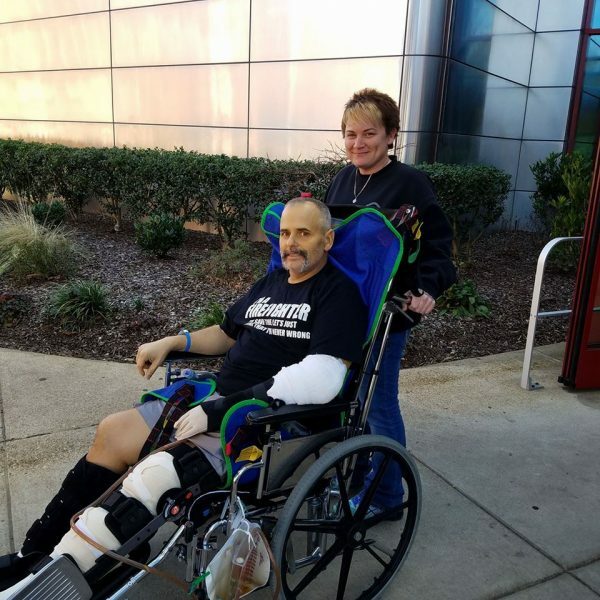 Walker State Prison fire chief Matthew Mann, injured in a Rock Spring wreck on January 19th, is finally done with surgeries and heading to rehab. 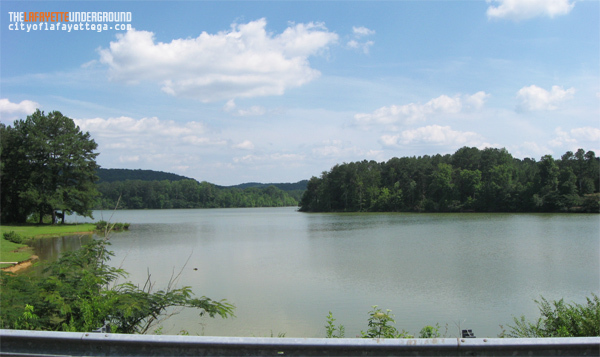 LaFayette has redone a boat ramp at Queen City Lake, extending it up further onto the shore. Now the city is installing a new dock at the same reservoir, using student labor and about $20,000 of leftover road funds. Domestic violence investigation leads to possible drug arrest. WQCH Radio, 02/03/17: “A 33 YEAR OLD LAFAYETTE MAN WAS ARRESTED BY POLICE FOLLOWING A SUNDAY NIGHT DOMESTIC CALL. IT CAME FROM YESTER OAKS APARTMENTS OFF WEST NORTH MAIN. “THE MAN’S GIRLFRIEND TOLD POLICE THAT HE HAD BEEN SCREAMING IN HER FACE AND BACKED HER AGAINST A WALL DURING THE ARGUMENT. SHE SAID WHEN HE WENT OUTSIDE, SHE LOCKED THE DOOR, AND HE CAME BACK WITH TREATS [sic] AGAINST HER AND HER BABY. “POLICE FOUND HERMAN DAMION BRADLEY WALKING ALONG NORTH MAIN. HE HAD A PRESCRIPTION METHADONE PILL, PLUS A POWDER SUBSTANCE AND STRAW IN HIS POCKET. THE POWER WAS SENT FOR TESTING TO DETERMINE IF IT CONTAINED AN ILLEGAL SUBSTANCE. 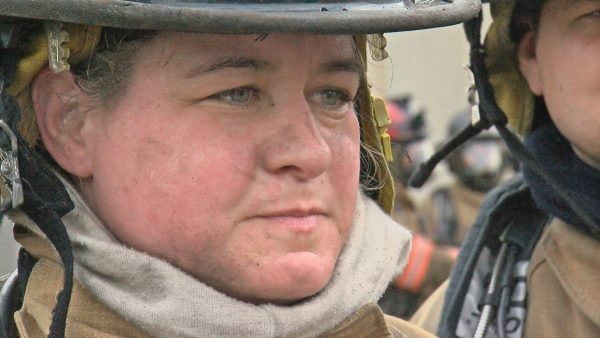 Last Friday Melissa Russell of Whitfield County successfully completed the Georgia Smoke Diver program, becoming the state’s first woman to do so in 23 years. On her second try, she completed the six days of intensive, grueling, fireman training in Dalton. She’s one of only 976 from either gender to ever complete the course. “Juveniles” in Summerville caught trying to pass counterfeit money. These bills are printed wrong, on purpose, and meant for use in TV and film production. They don’t look OR feel like real cash to anyone halfway paying attention. As with fake Chinese-marked bills recently found in LaFayette, these were ordered online for pennies on the dollar with the apparent intention of using them as counterfeits. So far none have been passed successfully. Sunday night the Atlanta Falcons lost SuperBowl LI to the New England Patriots in a stunning, 28-34 overtime matchup. Atlanta dominated the first half of the game with a 21-3 lead at halftime and then blew it in the final quarter. Super Bowl loss aside, the Falcons had a spectacular year. Does the team’s performance make it more deserving of the new partially-tax-funded football stadium set to open this fall, or does the season simply show that they can perform well regardless of venue and the new $1.6+ billion Sphincterdome project wasn’t necessary? Or one can make the argument that it was needed/wasteful regardless of the team’s record. Stealing just for the thrill of it, maybe? 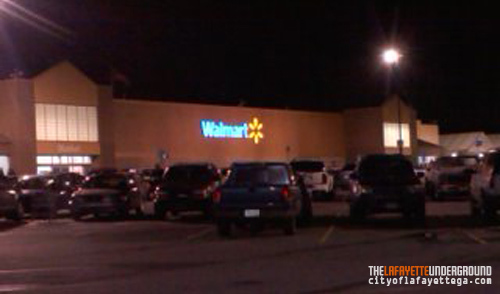 WQCH Radio, 02/03/17: “A 28 YEAR OLD LAFAYETTE MAN WAS CHARGED WITH SHOPLIFTING AT THE LOCAL WALMART, ACCORDING TO POLICE. “JONATHAN EUGENE SCHRADER WAS REPORTEDLY SEEN CONCEALING $66 IN HARDWARE MERCHANDISE IN SHOPPING BAGS, AND STORE PERSONNEL SAY HE LEFT WITHOUT PAYING. Plus local arrests, January 26-February 1. At the beginning of the year, GSP troopers, GBI investigators, corrections workers, DNR rangers, and other law enforcement officers employed by the state enjoyed a raise in (base) pay. Deservedly so. 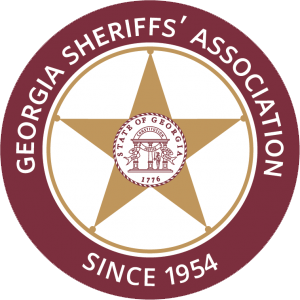 Now the Georgia Sheriff’s Association, under Steve Wilson’s leadership, says local sheriff and police departments are losing employees to the higher paying state agencies. They’re asking the state for a “minimum wage” increase for cops – one that might come in the form of a new 1% sales tax. If implemented, county and city governments would be required by law to give officers more pay. That gives elected leaders – sheriffs, commissioners, city councilors – an outside entity to blame for resulting tax increases instead of stepping up and raising officer salaries on their own individually. And as the article notes, there are something like 1,600 state employees who got the 20% raise – if the state mandated higher pay for local officers it could be 28,000 people whose salaries have to come from somewhere getting raises, some as much as 50%. That’s a LOT of cheese. It’s possible not every officer in every job needs to be paid what a GSP trooper makes. What about our badge-carrying “law enforcement” codes department within the county? Should those guys, who we can’t prove ever do anything at all, be making more money? It ought to be decided locally, at the least. Back Alley Productions introduces season tickets for the upcoming 2017 season. One price buys passes to all twelve of the LaFayette theater company’s planned shows. Smaller packs, like nines and fours, are also available. 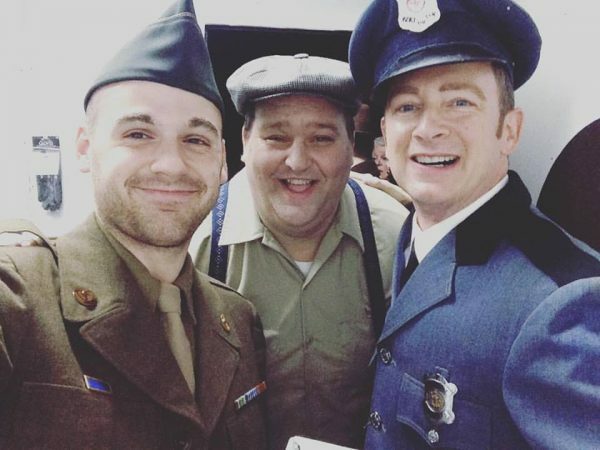 Looks like local live theater is here to stay. We need to support this group and sell out every show year-round. Murray County has suspended an unnamed Probate Court employee under investigation of embezzling funds. The GBI announced its investigation this week, but was made aware of the possible fraud a YEAR ago. State agency says its financial team has limited staff, so investigations don’t start in a timely manner. So they should get around to Walker County in about 2036 – assuming they’re actually asked to come in. 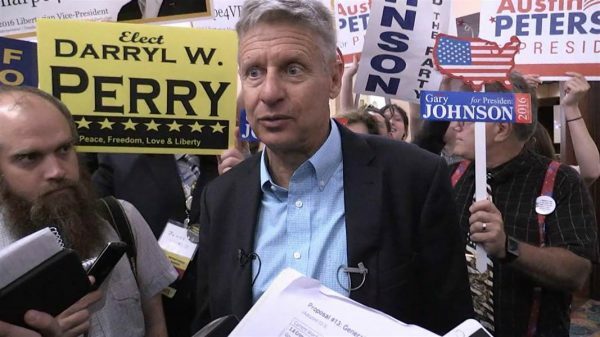 Thanks to an appeals court ruling, future third-party presidential candidates will only need 7,500 voter signatures to get their names on a ballot in Georgia. The ruling only impacts federal elections. Rules controlling state and local votes will remain unchanged, and overly strict. In much of Georgia, it will now be harder for a third party or independent candidate to qualify to run as coroner or surveyor in a single county than it will to qualify as a candidate for president state-wide. 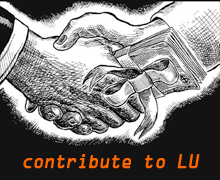 Do you have some computer knowledge, ability to learn considerably more, and want the training that can take you to a better place? A new “programming boot camp” school opening in Chattanooga might be the opportunity you’ve been looking for. These kinds of jobs are the future. 43 years ago, Billy J. Burchfield of Dalton shot and killed his wife. 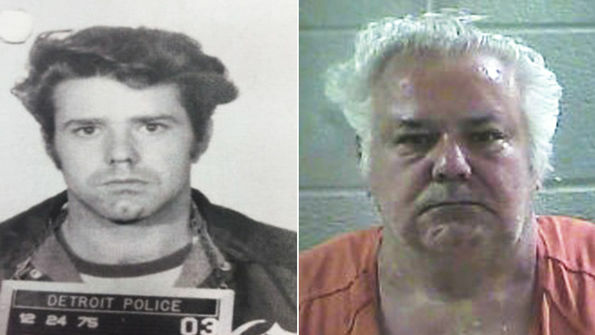 Six years later, he broke out of a prison work gang and disappeared – until he was arrested again last summer in Kentucky, using the borrowed name Bill Arnold. Bill Arnold, pushing seventy, has since 1979 lived a quiet and peaceful life, married twice, raised two kids, became a church deacon, ran a business, and seemed to be the neighbor or employee anyone would want to have. He was returned to jail last year as Bill Burchfield, where he’ll sit until 2026 and then do another 13 months for the escape – scheduled for release, again, at age 77. An hour of Johnny Cash talking about, singing about, and riding on old trains.